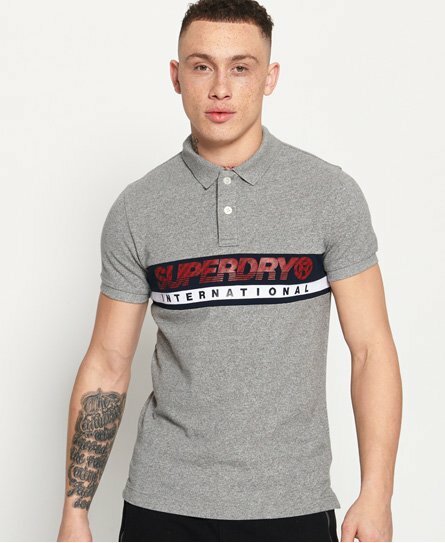 Superdry men's International chest band polo shirt. This classic polo shirt features a two button fastening, split side seams and panel logo detailing on the chest. Finished with stripe detailing on the back of the collar, this versatile polo shirt will look great paired with everything, from slim jeans to classic chinos.